Hello, Dear Reader, and welcome back to me. Up front, please remember that I am Five Times Better than you. Bearing this in mind will make the following proceedings more comprehensible to such as you. This goes especially for our Dear Friends &amp; fellow Blog Posters, Mr. Excremando and Beef Stew. Well, I have not posted in a long time, and this is due mostly to the disillusionment of Foolishness. The only reason I ever posted on this blog in the first place, Dear Reader, is because I loved you so much. I loved you the way a Papaw loves his glove. I loved you the way a hippopotamus loves murder. I loved you the way a rodeo clown loves internal bleeding. I loved you the way a sentient demi-ape loves world conquest. I loved you the way an oligarchy loves a parade. But I had to leave for a while so as to attempt to save America from itself. And I failed. Well, more to the point, you failed. You see, America's one hope was a Presidential Candidate from the Hope-Center of America, a man for all seasons named Pip Clowson. He stood for everything that you stand for. He stood for three things: Success, the Future, America. Alas, he was too good for America and America too good for He. The campaign started off with a nuclear fission of potential. We met in the back room of a book store in a small town and preached hope like a fountain of boiling water gushing from the pipe hole of Saint Benafeld's Broken Hat. But then everything went wrong. Specifically, Pip Clowson died. He died of a Broken Heart. And who broke his heart? You and some other people much like you, Dear Reader. But even though Pip Clowson isn't around to save America from itself, please do not despair, Dear Blog Perusers. I love you still the way an elderly janitor loves a sip of Pine Sol in the morning. I love you still the way a raccoon loves the fetid liquid that seeps from a garbage bag that has been sitting out in the sun all afternoon. 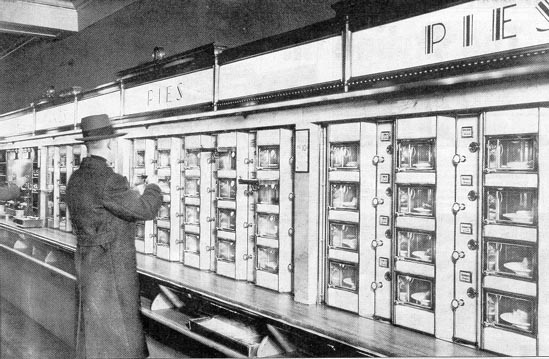 I love you still the way Fatty Arbuckle loved the Automat during Pie and Pudding Hour. Which is to say, I will still work insufferably, hours without end, to save America with my Five Times Better blog posts and ideas. So hang in there. Hang onto the thread of me and let us fly into the Future like two sausages glued to a wall. We can make it, Dear Reader. Odors intact, we can make it. Oh, and April Fools' Day has come and gone as well. I'm sure there were many beautiful pranks played today, as well as some really, really cruel and nasty ones, all of which will turn up on YouTube in the next fortnight. The really great pranks are the stuff of legend though. They occur when a great imagination merges with a clever organizational approach, all coloured by a highly misanthropic worldview and a deep seated desire to make someone feel quite gormless. The HuffPost (HuffPo, HuffingPost, HuffaDuff ...there's got to be a better nickname for that site) offers a list of some well-known famous pranks that stand at or near the summit of April Fooldom Fame. However, the really great pranks weren't even on the list. Some of these classics were so outlandishly daft that they left the mind reeling. Others were especially great because they were so well done that people still believe they were real. However, if you study the photos carefully, you'll see that Grover J. 's nose is a full 2 centimetres shorter than Grover R.'s and also that Grover R.'s eyes are blue, whereas Grover J. 's eyes are hazel (just like yours truly). The two Grovers spent a great deal of time convincing people that they were the same man. This saved a great deal of campaign expenses, as Grover J. was able to reuse almost all of the old campaign posters and banners from Grover R.'s previous two campaigns. The wife of Grover R. was in on the prank and actually lived in the White House while Grover J., a confirmed bachelor and man-about-town, was president. However, she slept in a different room than the seperate room she slept in when Grover R. was president, as she "wasn't puttin' up with no funny business." 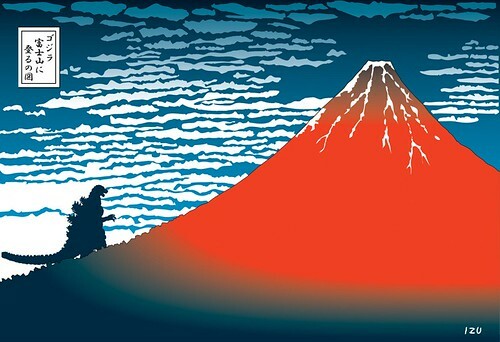 In 1958, just four years after Toho released the original Godzilla (or Gojira) film, Tokyo was actually invaded by a gigantic monster that looked exactly like Godzilla. Fortunately, instead of being a highly radioactive and sociopathic troublemaker, this monster was remarkably literate and a brilliant self-promoter. He immediately signed up with the studio for the next five Godzilla pictures, in which he portrayed the monster in most long shots. All close-ups were still portrayed by a squirrely little bloke in a rubber suit. Contrary to popular belief, President Barack Obama's given name is Leslie Davis. He was originally named after English actor Leslie Howard and actor Ossie Davis (no relation). His new moniker was suggested by campaign advisor James Carville, who said, "We gotta get some kinda exotic, wild, far-out, unusual, attention-gettin' (sips cup of coffee) name so's people will get that name-recognition, brandin', campaign money-supportin', primary-winnin', freaky-deaky-dokey, (sips 2-litre of Jolt Cola) Woo-hah! Man alive! That' s what I'm talkin' about (sips three cases of Red Bull...the tall cans) Googleymoogleygoogley, wowsa (indecipherable from this point on). President Obama responded by saying, "Sure, what the hell." Famed avant-garde comedian and actor Andy Kaufman never really existed. He was actually a figment of the imaginations of "Kaufman friend" Bob Zmuda, Steve Martin, Steve Allen, and the guy who played Schultz on Hogan's Heroes. Several actors played Kaufman throughout the years, none so convincingly as Val Kilmer and Kevin Spacey, who rotated the role regularly before they each found fame of their own. The Eiffel Tower, one of the eight modern wonders of the world, a staple of Parisian postcards, travel documentaries, and travellers' tales, doesn't really exist! The idea for the tower prank was the brainchild of two Parisian coffeehouse owners, Phillippe Bong-Recousier and Francois Verisillie. 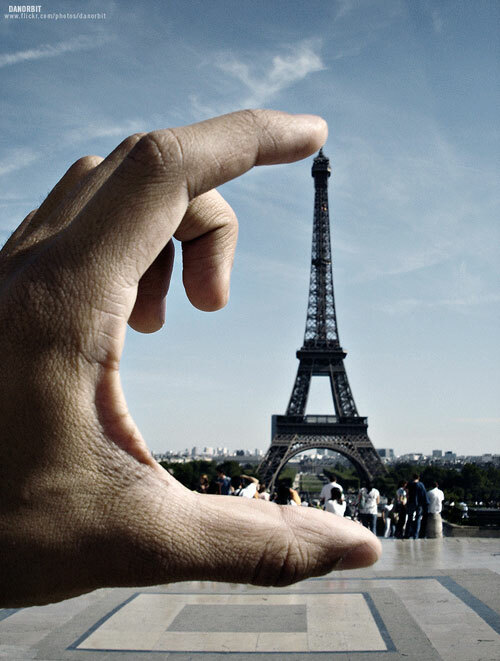 They built a small model of the tower in 1889 and took a series of trick photos of it, as it stood in front of the Paris skyline. Other Parisians loved the photos so much, they asked the government to build an actual version of the structure. However, the French government were too involved in trying to address the problem of having an increasingly belligerent Andorra on their southern border, and were working out the complicated and expensive defences. Instead, the Parisians kept shooting photos, and later films, of the monumental looking tower. Tourists who came into the country to see the amazing monument were sworn to secrecy (on pain of being banned for life from being able to purchase Brie and champagne) and returned home with faked photos and souvenirs bearing the likeness of the tower. Occasionally, a lucky visitor gets to hold the original model. To this day, any scene with the Eiffel Tower in it is digitally composed to include the tower, hiding the actual current occupant of the location, a McDonald's play park. Queen Elizabeth II actually won the gold medal in men's boxing (welterweight) in the 1956 Melbourne Games. She entered the competition disguised as a young Glaswegian named "Andy MacGillicutty." Officials were baffeled by her muttonchops, her accent (which shouldn't really have fooled them, as it was pure Edinburgh) and her well-chisled physique. She took the title by knocking out Russian Amateur World Champion Ivan Takeadivesky twelve seconds into the first round of the gold medal match. After officials discovered the winner of the match was the Queen, they dutifully stripped her of the title and ordered her to put on a blouse. They then restaged the gold medal match and medal ceremony. To this day, no one will speak of it, because HRH threatened to beat them to a pulp if they did. The satellite that started the space race was launched into space by a footballer. That's right, Sputnik wasn't put into orbit by a Soviet rocket, it was lanched into space by footballer Vladimir Romanov, centre half for Minsk. Romanov was attempting to clear the ball out of his penalty area when he was overtaken by a sudden adrenaline rush and belted the ball into the sky. Soviet propagandists realised they were the owners of the first artificial satellite in history and immediately began to craft a backstory about the ingenious space program their country had developed. Unfortunately, people miss some of the most obvious cracks in the story. For example, the illustrations of Sputnik were actually all lifted from sporting magazines of the era. The supposed antenna jutting out behind Sputnik are actually just motion lines drawn in to show the speed of Romanov's clearance. Even the name of the satellite is a dead giveaway: "Sputnik" is Russian for "hospital ball."